Registration for MCAA’s 2018 GreatFutures Forum is now open! 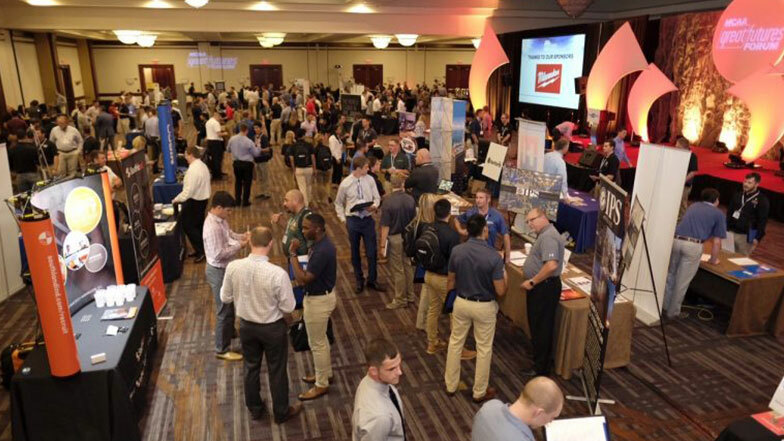 This year’s conference will be held in Anaheim, CA at the Anaheim Marriott from Thursday, September 27 – Saturday, September 29. We are excited to offer an exclusive opportunity where students from MCAA Student Chapters can explore, and even join, the world of mechanical contracting! Extensive one-hour session about this year’s Student Competition project. The session will give you the opportunity to ask questions and review the scope of the project in depth. Tour of a flagship MCAA member! Visit Southland Industries’ offices and fabrication facility, and see firsthand what it would feel like being in an office, experience the work culture and observe cutting edge technology. Engaging sessions from bestselling authors Alex Banayan (The Third Door), and J. Kelly Hoey (Build Your Dream Network) discussing measures of success and strategies for networking. Presentation by JBKnowledge CEO James Benham about emerging technology trends in the industry. Thursday night trip to Disneyland! Don’t miss out! Make sure to register today for the GreatFutures Forum. MCAA Members Set Torrid Pace for Hiring Interns…Have You Hired Yours Yet?